ICE, meanwhile, is saying that its arrest was justified because Savage—whose real name is Sha Yaa Bin Abraham-Joseph is—“unlawfully present in the U.S. and also a convicted felon.” This all comes from Variety, which notes that Savage’s conviction (on a felony drug charge from 2014) was expunged from his record. 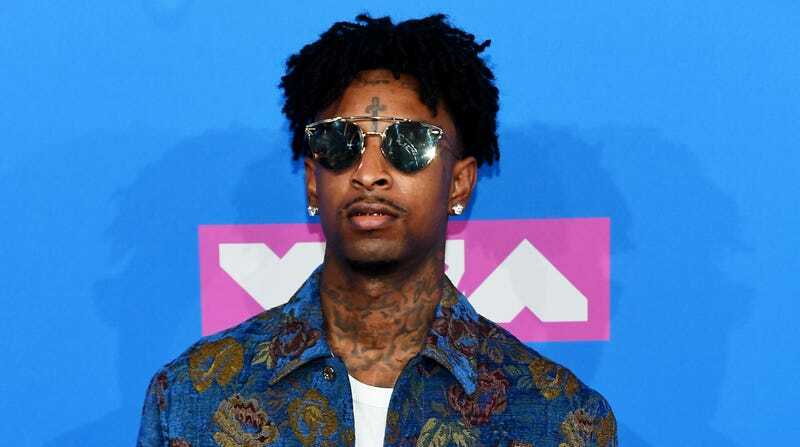 Meanwhile, California Congresswoman Zoe Lofgren has questioned the timing of ICE’s decision to arrest Savage, which came just days after he released a video for his track “A Lot” that included a new verse in which he referenced ICE’s policy of imprisoning children at the border. Also, Savage was undergoing the process needed to continue staying in the country legally, which the government obviously should’ve been aware of. Savage is still facing a deportation hearing at a later date.